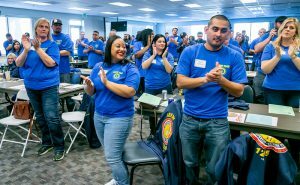 Enthusiasm is contagious – and union activism is the kind of enthusiasm that spreads at a breakneck pace. 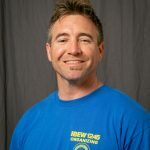 For a prime example, look no further than the 2019 class of IBEW 1245 organizing stewards. 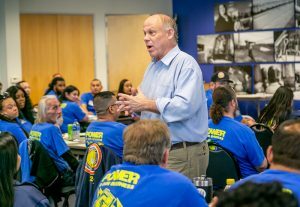 When the union officially launched its ground-breaking organizing steward program back in 2014, the inaugural class was comprised of just 28 activists. 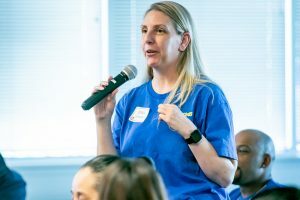 But these enthusiastic member-leaders quickly spread the organizing bug to their peers, who then spread it along to even more co-workers – and before long, members in every corner of 1245’s jurisdiction were clamoring to catch the bug for themselves. 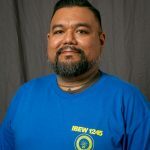 In just five short years, the program has grown more than five times its original size, and now boasts a whopping 148 organizing stewards in its ranks. 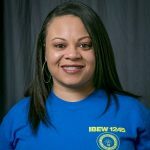 Second-year Organizing Steward Gabrielle Baker, who works at PG&E’s Fresno Contact Center, wasn’t always a union activist. 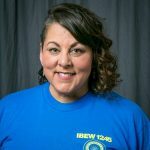 She’s had union representation at her previous jobs, but didn’t catch the organizing bug until she joined IBEW 1245. 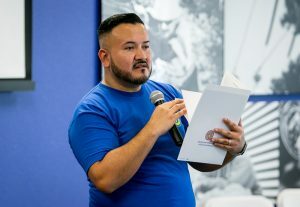 Alex Abrego, who works at the warehouse at SMUD, caught the bug from his co-worker, Kim Camatti, who got him involved with organizing around the Janus vs AFSCME Supreme Court case. 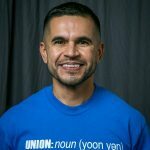 That case sought to weaken unions in the public sector – but has ended up having quite the opposite effect, as Abrego has exemplified through his newfound union activism. 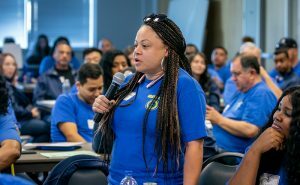 Dana Johnson, who works for PG&E in payment processing, also shared a story about shifting her perspective on the union. 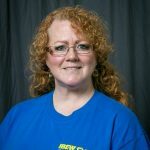 She was having issues at work, and became disillusioned with the union because she wasn’t really familiar with how it operates. 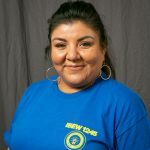 Baker, Abrego and Johnson each come from different backgrounds, workgroups and experiences – but they all caught the bug, and they’re thrilled to be a part of the 2019 class of organizing stewards. On January 25, they came together with their fellow organizing stewards for the annual kick-off meeting and training at Weakley Hall. The diverse group contains individuals from all walks of life, a wide variety of workgroups including clerical and physical, and even some retirees. Many of them have extensive organizing experience, while others have only just begun to explore the world of union activism. But despite their differences, they all share a common bond through the IBEW. In his opening remarks, IBEW 1245 Business Manager Tom Dalzell echoed these sentiments, sharing words of appreciation and inspiration with the room full of organizing stewards. The organizing stewards proceeded to spend the afternoon recapping and discussing the numerous organizing, legislative and political campaigns that they engaged in over the past year, highlighting the ones that left the biggest impact – including the passage of the wildfire bill, the defeat of an energy deregulation measure in Nevada, the successful internal organizing effort around Janus, and the election of Rosanna Herber to the SMUD Board. They also discussed what it means to be an organizing steward, including the obstacles and opportunities they face, and then proceeded to break out into their new teams to lay out a game plan for the coming year. Due to the colossal size of this year’s class, the union has appointed 20 leads, each of whom is responsible for guiding a team of 8-10 stewards over the course of the next 12 months. The action-packed day concluded with a special screening of the film “Made in Dagenham,” which tells the remarkable story of a group of British women workers who went on strike for equal pay at a Ford motor plant. The strike eventually led to the passage of the UK Equal Pay Act in 1970. 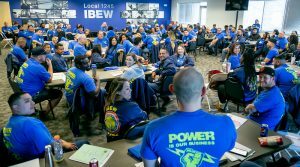 What has been your most meaningful accomplishment through IBEW 1245’s member-driven organizing program?